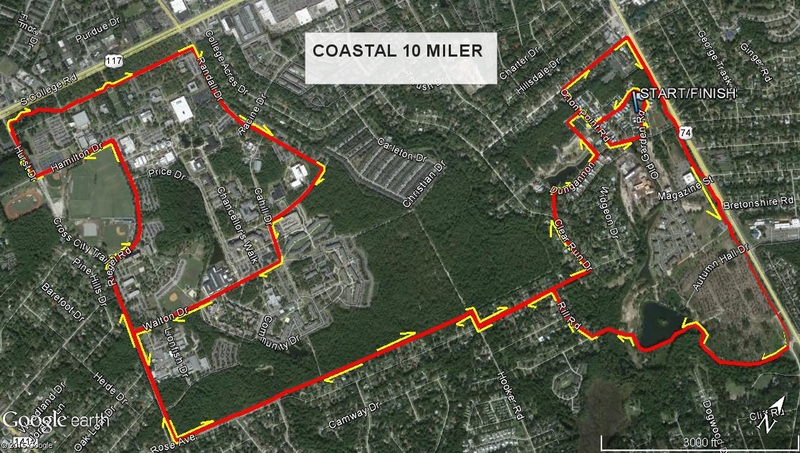 Coastal 10 Miler – April 12, 2015 | NC Race Timing and Running Events | Go Time! Please plan to be at the start line 5 minutes prior to your start time wearing your race number on the front of your shirt. Walkers are asked to line up in the back. 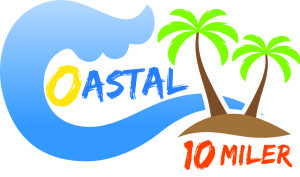 The coastal 10 miler is the first of is kind in Wilmington, NC. The course is beautiful and scenic with a large portion on the runner friendly Cross City Trail. Participants will start and finish in beautiful Autumn Hall. The course will be loaded with volunteers to make your 10 mile experience enjoyable. And of course because it’s in Wilmington, the course is flat and fast. We have some surprises in store for you at the start and finish so stay tuned and follow the updates on the web page and Facebook!!!! Get ready to run an awesome 10-miler in Wilmington, NC for a great cause! At Victory Junction in Randleman, NC they believe that every child, no matter their illness or diagnosis, deserve the chance to just be a kid! So they provide fun, life-changing experiences at no cost to children with chronic medical conditions or serious illnesses. At a weeklong camp, children enjoy various activities including swimming, boating, fishing, horseback riding, arts and crafts, zip-lining, indoor kickball and bowling. In the wake of the untimely death of race car driver Adam Petty, Victory Junction was founded in his honor by the Petty family in 2004 as they realized Adam’s dream of creating a camp for children. By running in the Coastal 10-Miler, you help foster the independence, confidence and growth of children who need it most. Please check out this video for more information! 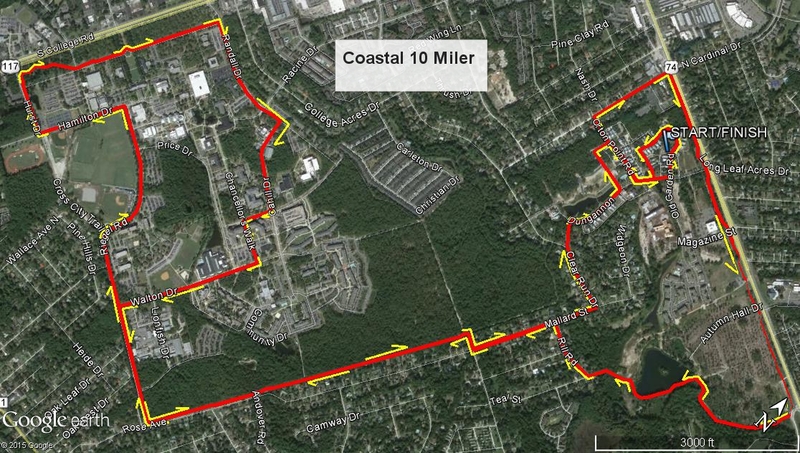 10 Mile Course – We’ve got a fun route for you! Starting in Autumn Hall, you’ll make your way to Cross City Trail and head toward the back of the UNCW campus. You’ll then head to the finish at Autumn Hall. We’re transforming the finish line into a party, full of live music and energy to keep you going all day! RACE SHIRTS:Shirts are available in Female cuts S – XXXL and Male cut S – XXL. 6:00 a.m. – 6:50 a.m.
Register before February 11 to save! 10% DISCOUNT FOR SERVICE MEMBERS, MILITARY, AND TEAMS OF 7 OR MORE! E-mail Zach@its-go-time.com for the promo code before signing up! If you already have a Promo Code, contact Zach@its-go-time.com to register. Online registration closes at midnight on April 8, 2015. Online registration is closed. You can still register the day of the event. Parking is available at the Glen Meade Medical Center lot and in the dirt field in Autumn Hall to the right just as you enter the complex. RESTROOMSAccess to the Headwaters club house, as well as Port-a-Johns at the start area.